BTC City stands for Commercial Trade Center [in Slovenian Blagovno Trgovski Center] and it has been steadily developing into the most important business, shopping, recreational, entertainment and cultural center of Slovenia by attracting more visitors each year nationally and internationally. It has been growing since the 90s as a revitalized zone of warehouses into a contemporary business-commercial center on the Ljubljana outskirts. Adopting a semi-independent form of life it has today grown into a place comprising of over 450 shops, over 8.500 parking spaces, a market hall, Water Park Atlantis, a car wash, Millenium Sports Center, Casino Rio, Kolosej Multiplex Cinema, entertainment center Arena, several bars, meeting points, restaurants ect. 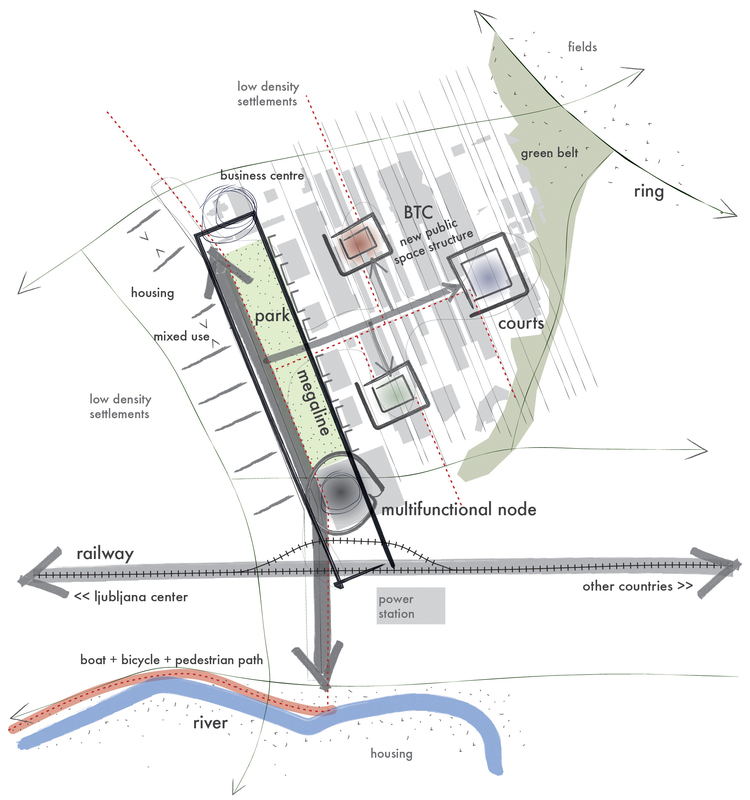 It is connected to the city center by a railway, which can be seen as a conceptual starting point of the workshop related to the SMANFUL theme. 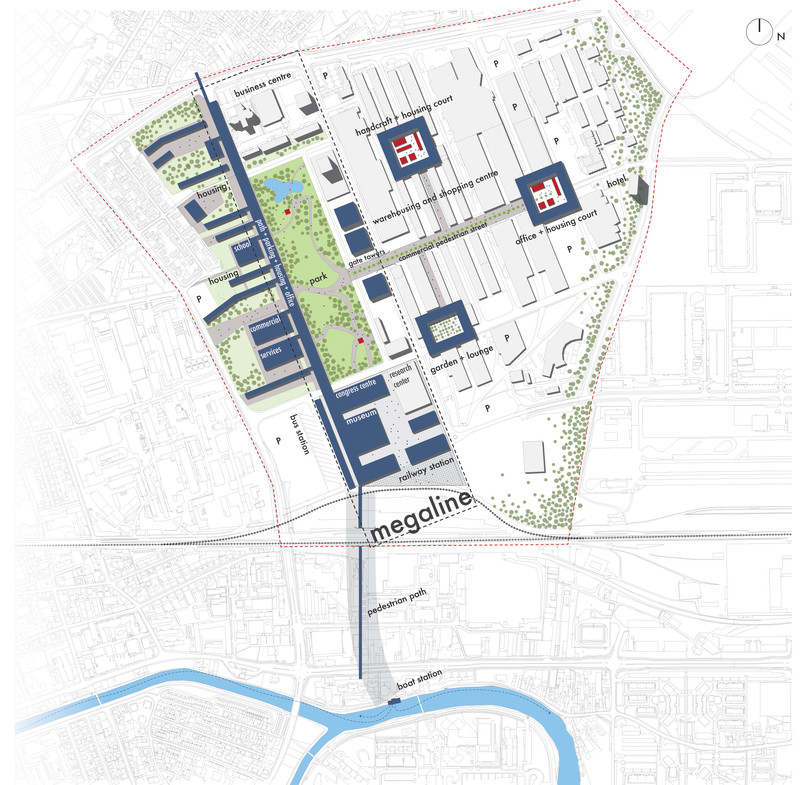 The rapid growth, however, brings the danger of developing such areas into mono-functional city parts that do not develop programs in the way traditional cities do. Such places can thus collapse if a proper vision of future development is not introduced and implemented at the right stage of development. 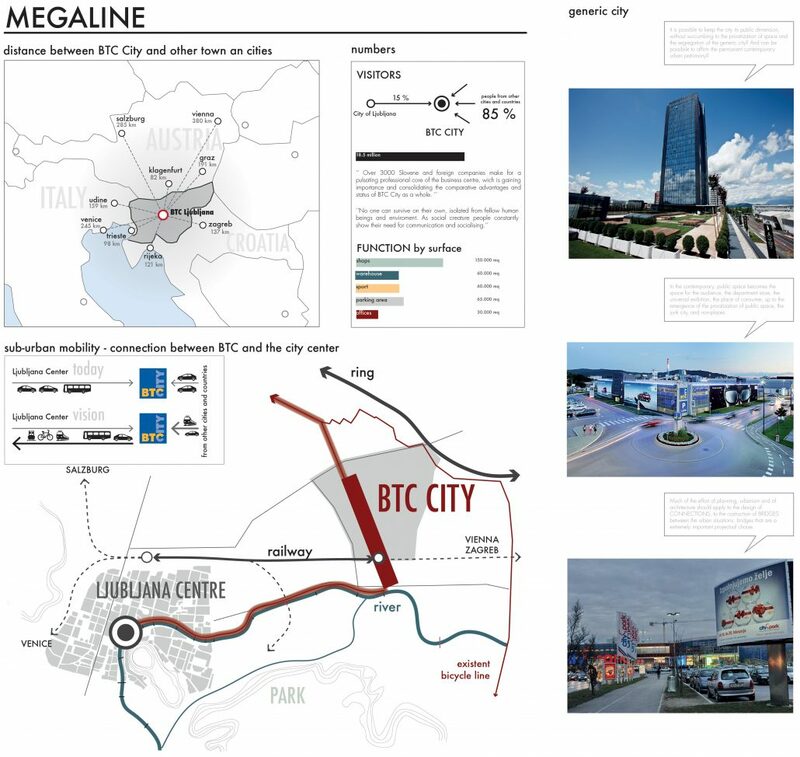 The SMANFUL 2013 Ljubljana Workshop will therefore tackle the question: How to develop a vision of BTC City as a dense multifunctional city fabric that opens new possibilities for public space?